In 2017, The Comcast Corporation generated more than $ 84.5 billion, with over 21 million subscribers, as of March 2018. How does a company get this large and stay fiscally healthy, particularly after the growing trend of ‘cutting the cable cord’? Because Comcast isn’t just a cable company anymore. Nor has it been for a very long time. The change was subtle, in terms of public awareness, but the largest cable company in the United States started looking beyond the realm of the television four decades ago. It made investments in the cellular business in 1988 and expanded its focus 11 years later when it began making investments in technology and the internet. Now, cable television is only one piece of the package trifecta that Comcast offers—the other two major players being Internet access and voice packages, whether it’s on a landline, a cell phone or both. This is an example of package bundling, which is a pricing trend that is increasingly popular with businesses in the last several years. Subscription based businesses too are effectively using the price bundling tactic to grow and retain their customer base. Price bundling, also commonly known as package bundling, is a sales and marketing tactic used to demonstrate added perceived value to customers. If customers purchase just one product, they pay a certain amount. However, if they opt in and purchase a package with two products, it costs more, but it is cheaper than buying those two products separately, on average between 7 to 15 percent cheaper. This blog has previously touched on the topic of price bundling as part of our pricing strategy series. In this post, we’ll take a deeper dive. There are four major ways bundled packages are explored and offered. Bundling multiple products, such as books by the same author or within a specific topic. Combining a product sale with future services, including purchasing a vehicle with an extended warranty for service. Bundling a product and related products, such as a vacuum and spare vacuum bags. Combining a product with alternative products. With Comcast, a customer can purchase different internet speeds, different channel packages for the television and a variety of minutes and data for voice. Increase the average sale amount. If a customer came to you because they wanted to purchase 1 widget, they will see the value in purchasing that widget and spending a little extra to buy 1 widget and 1 sprocket. Increase overall sales volume. As more customers are tempted to purchase the package deal, as opposed to a single item, the bottom line continues to grow. Decrease marketing costs. Now, a business doesn’t really have to advertise to a widget audience and separately to a sprocket audience, since advertising a bundled package is going to yield sales for both items. Increase the profit margins. Related to the previous point, price bundling is an effective way to increase profit margins with very little increase in the cost of sales. Increase customer loyalty and reduce churn. Bundling goods or services will help maintain customer loyalty, since they are more likely to keep making that bundled purchase, even if they are unsatisfied with one of the products. Bundling products is also a good way to alert buyers that additional products are needed to enjoy the product without interruption. Such as, a reminder to purchase ink cartridges with the printer. Package bundling isn’t just limited to a handful of industries. Software giants such as Microsoft have had tremendous success with bundling products—in fact, they increased their market share from 7 to 38 percent when they first bundled popular products like Access, PowerPoint, Word, and Excel. Then they bundled their browser with their OS. Any company, regardless of industry, may be able to benefit from bundling their products and services. However, it’s important to keep in mind that the perception of value is critical from the customers’ point of view. And value isn’t just a monetary measure—value perception can also be psychological, functional or social. If a business offers more than one product or service, product bundling is an option worth examining to increase sales and customer satisfaction. However, just like any change in tactic, it’s critical to make this change judiciously. First, it’s important to take a good look at your products. A product analysis will not only tell you what are your top selling products, but what your most sluggishly moving products are. Also, look at your customer data. What is selling and what are customers buying at the same time? Often, when you look to buy something on Amazon, their analytics driven algorithms are immediately going to tell you what other people are buying. For example, if you’re considering purchasing a printer, Amazon will tell you that Printer X is often purchased with a specific kind of ink and a certain kind of printer paper. Probably one of the most talked about examples of a product bundling challenge was with Nintendo’s video console and game bundling. Harvard researcher Vineet Kumar and Carnegie Mellon University researcher Timothy Derdenger looked at the handheld game market for four years, beginning in 2001. Mixed bundling. The company offered a two-tiered sales approach in which a customer could buy a game system unit bundled with a game or they could buy the two separately. Pure bundling. At another point, Nintendo forced the bundling option. Here, the customer didn’t have the option to buy the game unit or the game separately—instead, customers had to purchase the bundled option. According to Kumar and Derdenger’s findings, customers preferred the mixed bundling option, where they could purchase the bundle or a unit separately. When this option was offered to customers, Nintendo sold about 100,000 more game units and video game sales increased by more than a million games. When the pure bundling was the sole purchase option, sales revenue dropped more than 20 percent—millions fewer game units were sold and sales of games fell by over 10 million pieces. 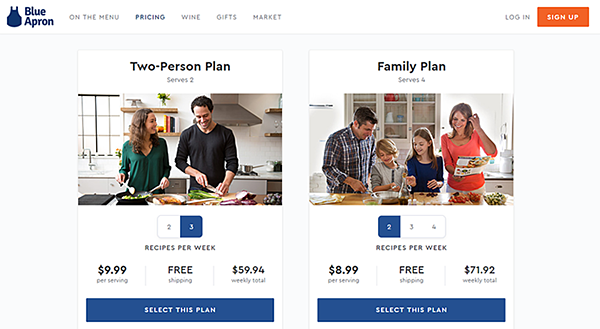 Create visibility in your package options: On Blue Apron’s pricing page, the options are front and center. Do you want to purchase meal kits for a two-member family or a four-member family? How many recipes do you want a week? As few as 2 or as many as 4? Highlight the savings: As customers are looking for the perceived value in their purchase, they need to be able to how much a single item would cost, then that item bundled with other goods or services. Cosmetic companies have been offering their goods in bundles for years. Yes, so you spent $75 on Sephora's superstars kit … but it’s valued at $172! Create a separate page for value packages: Customers who are looking for increased value at lower costs are going to dig into your website to look for a good package deal. If your bundled items are a seasonal item, such as a back-to-school promotion, you’ll want to be able to pull that page when the deal is over. Offer bundled packages at the checkout:. A customer may not be interested or aware of a product bundle when he selects an item for purchase, but that first or second look at the checkout page might trigger an additional purchase. Perhaps it is a good idea to purchase the optional 2-year warranty on that $500 television after all. Will the bundle make sense to the prospect or buyer? Does it greatly increase the price? If so, it might have a negative effect. Product and price bundling is an important strategy in a recurring revenue model. However, adding packages will increase billing complexity and may lead to longer launch (go-to-market) times. 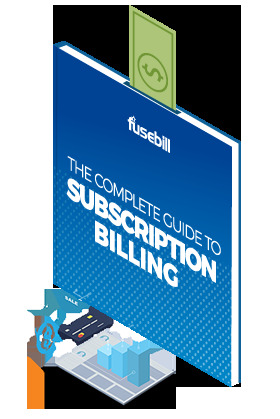 A subscription management and recurring billing software like Fusebill, offers the scalability to launch different bundling options quickly, with just a few clicks.